Putting together the right team is hard work. First you need infielders and outfielders, and hopefully in that mix of players you have a few who can play both positions. Since you need to field 11 players, getting 13-14 to commit is a main goal of the manager. Registering for the team and securing hotel or home rental reservations is completed by each player. As you get closer to the date, team jerseys are collected for distribution at the games. Finally October 4 arrives, and the team gathers at the Dixie Center to check-in. The first two days of tournament are seeding games. 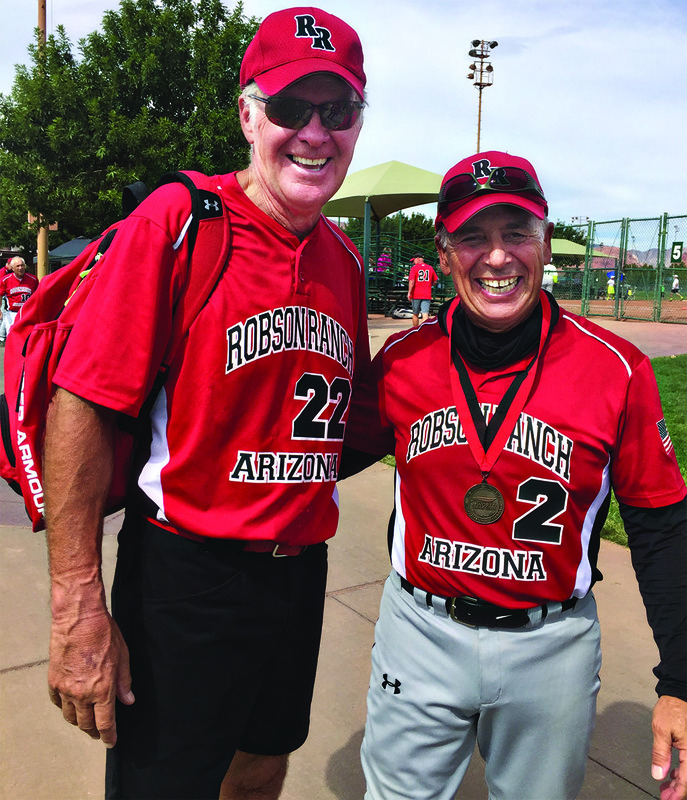 On the first day of the four-day tournament the Robson Ranch Sandstorm decisively beat the first team; however, the second game proved more of a challenge. By only two runs, the Sandstorm lost that game. Since the Sandstorm won the third game on the second day, they ended with a 2-1 record. Robson Ranch Sandstorm was placed in the AAA Division—higher than they have ever competed! Wednesday play began the games that would lead to the medal rounds. Unfortunately the team lost the first game, placing them in the losers’ bracket; they had to win the next two games. With runners at first and third base and nobody out, Sandstorm had to dig deep to keep the lead. The batter hit the ball to short stop, Paul Gayer, who threw to second base, Tom Harris, who threw to first base, Paul Lewinski, who threw to catcher—triple play to end the inning! Whew! What a nail biter—winning 13-9. The team won the third game of the day, too. Medal-round games began Thursday morning. 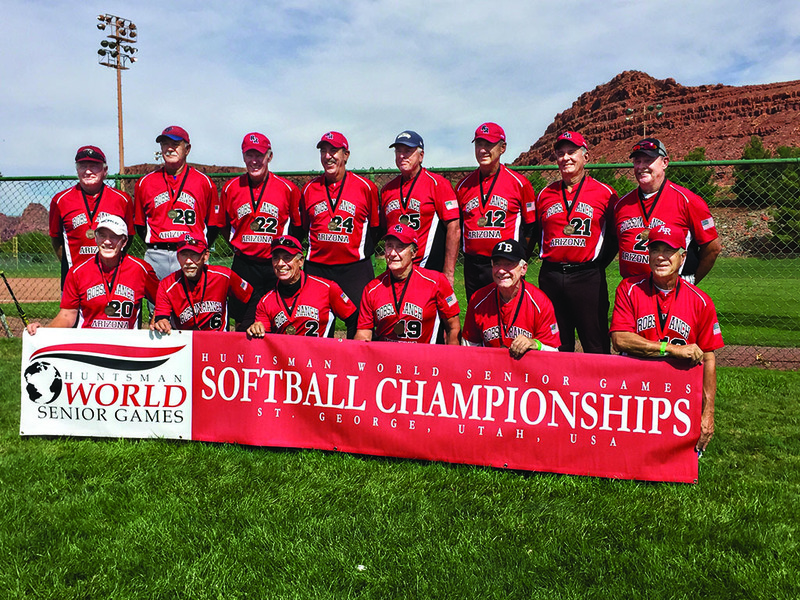 Robson Ranch Sandstorm goes on to win a bronze medal in the Huntsmen’s Senior Games at St. George, Utah, in AAA Division! Congratulations to all the players! A special thanks goes to Dave Rinaldo who worked tirelessly all summer securing the players for the team and to Dave Waibel who managed this team that was an “overload of talent.” Also thanks to our scorekeeper, Rose Rinaldo, and to all of the wives who were the “cheering section” at every game.